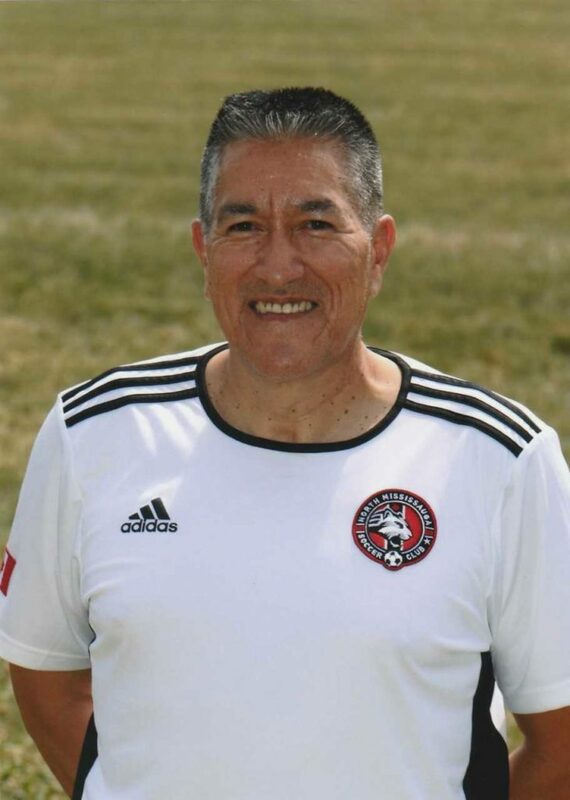 News NMSC Coach Spotlight: Richard Chimbo & Sandro Cosentino! For Coach Richard Chimbo, coaching has helped him discover that patience is a virtue and listening is a two-way street. Coaching wasn’t always a part of the plan for Richard…when his oldest was playing U5, he felt that the coaching being given to the team was not skill or strategy driven. The urge to do better, coupled with the support of his family, led him to sign up as the assistant coach for the next season. With each of his kids getting into soccer, at one point, Coach Chimbo was coaching four teams! Coach Chimbo believes that while he was not a great player then, he rarely got picked but he always had a strong desire to play. His passion pushed him to work harder and he moved up in the field. He likes to remind his players that the number one thing in the game is passion and the second is the work you put in which will ultimately lead you to success. From all the Panthers at North Mississauga Soccer Club, thank you, Coach! It takes a careful combination of motivation and teaching to keep players interested and passionate about the sport you coach. Coach Sandro, at North Mississauga Soccer Club, believes that this is his mantra when it comes to mentoring and developing players. 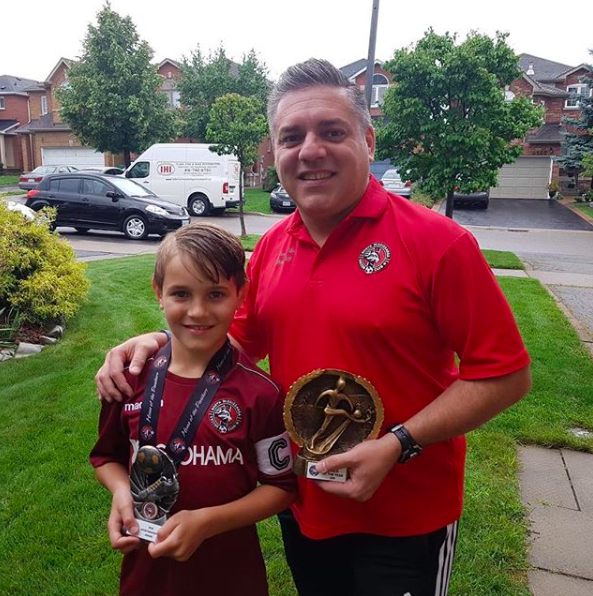 With soccer being a huge part of his family, Sandro, an avid Juventus fan, found that since he was passionate about soccer and wanted his kids to get involved in the sport, coaching seemed like a natural extension. Coach Sandro believes in having a properly structured practice system before games, focusing on tactics that need improved and incorporating the tactics based on the skillset on the team of the players. Back when he was in grade 9, he tried out for his school soccer team and wasn’t good enough, but he went out and tried out anyway. He maintains that that was one of his most memorable moments of him playing soccer, that really resonated with him…because at the end of the day it came down to just making an effort and putting oneself out there. When it comes to soccer skills that he wishes to focus on with his players, Coach Sandro believes that while offence is a talent and attacking styles can be developed, defense is where his focus lies. With his teams, he finds that the most satisfying wins are those 1-0 or 2-1 wins where they’ve had to grind it out and work well defensively as a team. When asked about what he would like his players to know about him, he said that it’s important for them to know that he cares about their development. His techniques and methods have a personable touch to them wherein the players see a bit of themselves in their coach. His passion and ability to tailor his approach to the personalities and skill levels of his players helps them develop to the strong Panthers that they are today! 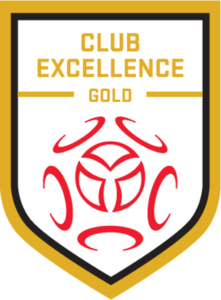 After playing with a few other clubs in the area, Coach Sandro gives NMSC his vote of confidence for being one of the better organized clubs that is extremely supportive of its coaches. For him, taking the players at the beginning of the season, mentoring and teaching them, transferring his knowledge and watching them transform into brilliant players at the end of the season is what makes coaching incredibly satisfying. From all the Panthers at North Mississauga Soccer Club, thank you Coach!